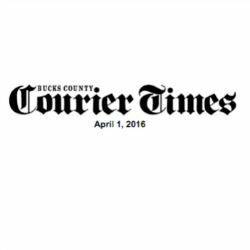 Mark Cuker is quoted in the Bucks County Courier Times regarding PFOA & PFOS contamination in PA. The Delaware Riverkeeper Network has been searching for a sympathetic ear. The Bristol-based environmental nonprofit has sent letters to Pennsylvania Gov. Tom Wolf and local Congressmen Michael Fitzpatrick, Patrick Meehan and Brendan Boyle, arguing that the military isn’t doing enough to protect Bucks and Montgomery residents from drinking water contaminated with perfluorinated compounds. When Monday began, it didn’t have anyone on board. But later that night, the network convinced the Warminster Environmental Advisory Council to support its efforts. And, by Wednesday, Fitzpatrick was in its corner, too. Read more . . . The Warminster meeting was attended by Mark Cuker, attorney at the Philadelphia-based environmental law firm Williams Cuker Berezofsky. That firm is representing Hoosick Falls, NY residents and previously represented New Jersey residents who also had been exposed to the chemicals. Cuker said he agrees at least the 0.1 ppb PFOA number should be used as a short-term number for response. He added that his firm had not been retained by any residents in Bucks or Montgomery.